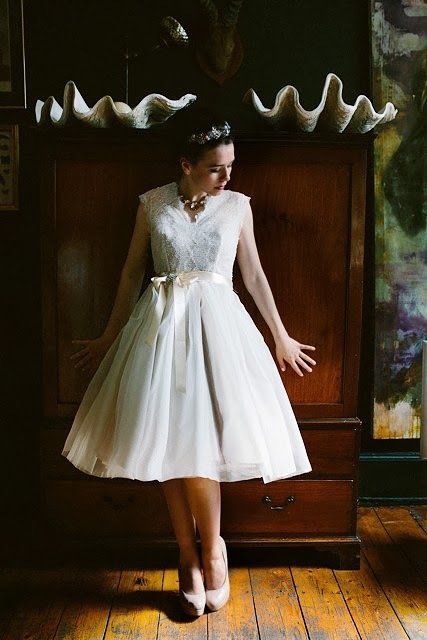 Today I’d like to show you 1950s-style Chantilly, from my Heavenly Collection of vintage-inspired wedding dresses. Chantilly is based on a classic 1950s silhouette, with its slim-fitting lace bodice and beautifully swishy skirt – elegant, feminine and fun to wear at the same time! What really sets Chantilly apart is the gorgeous quality fabrics that give it such great fit and movement. 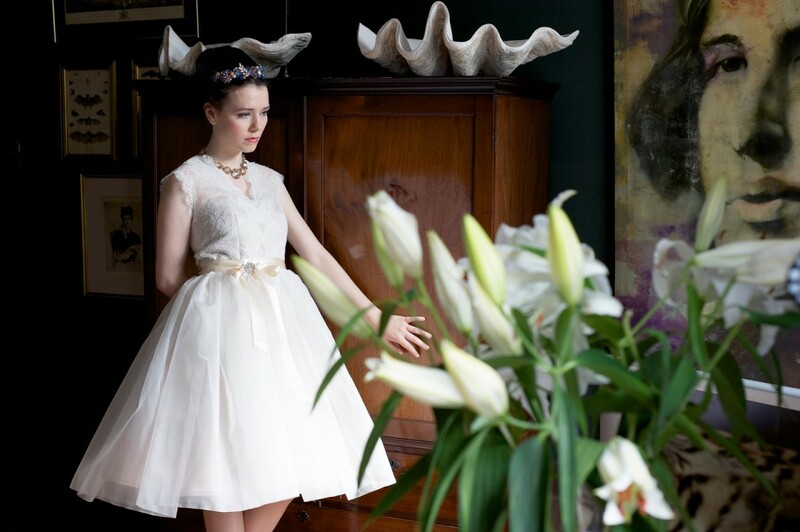 The skirt is made in a specially-sourced Italian silk organza, and the bodice is made from the finest French Chantilly lace (shown here with a mocha lining for a pretty vintage colour effect). I’ve shown it here in tea length. But it looks equally stunning in ballerina length or for a really dramatic look in full length. 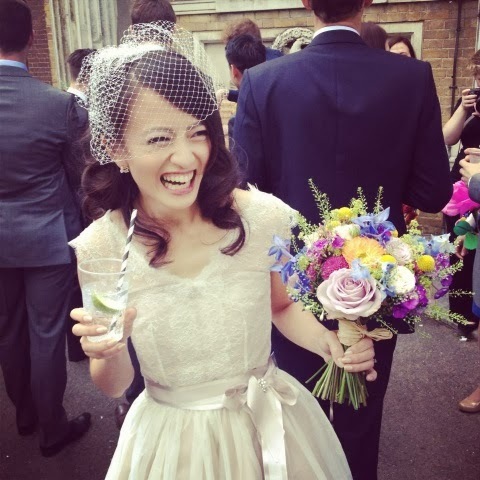 And just to round off this post, here’s real vintage bride Sophie looking fabulous in Chantilly on her big day! 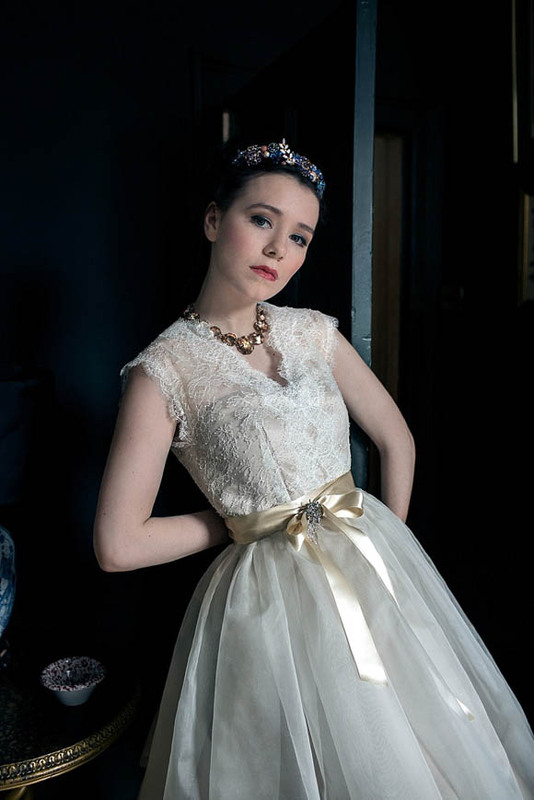 If you’d like to see more of this gorgeous 1950s-style dress, check out my Heavenly Collection here or just make an appointment to visit my London studio.